Holly Wang is founder of UK-based fashion brand, Miss Patina, which is stocked in more than 100 stores and boutiques across the UK, Europe, Asia, Canada and the USA. This includes 11 Topshop concessions and an online shop on Tmall.com, China’s biggest online shopping platform, where Miss Patina has more than 280,000 fans. Holly and her team of designers launched the label in 2009 and her beautiful, individualist designs have inspired celebrities all over the world. Singer Taylor Swift, actress Sienna Miller and Game of Thrones star Emilia Clarke have all been seen in Miss Patina, and Holly’s work has been featured in Vogue, Glamour and Cosmopolitan. It’s no surprise. Holly’s designs combine vintage and contemporary styling and intricate details with the fun, playful and seriously cute. 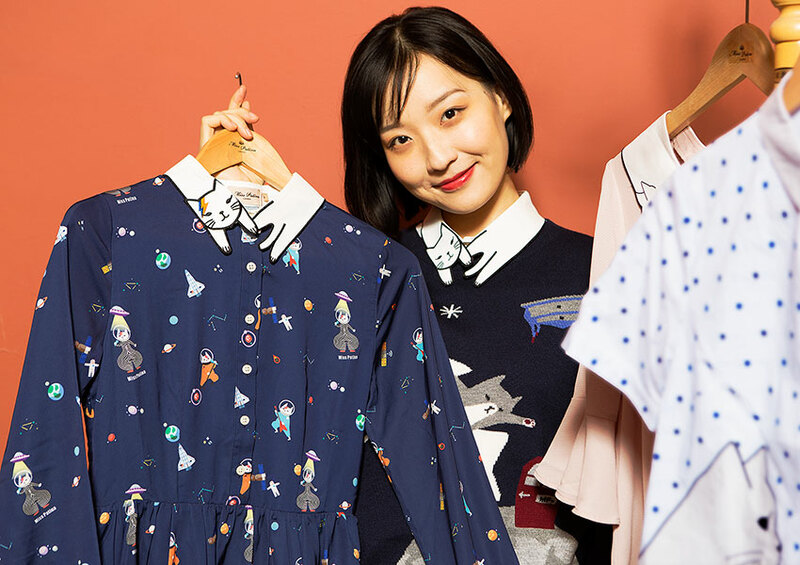 Her latest collection is inspired by cats, squirrels and nature. Behind Holly’s creative persona burns plenty of business acumen. In Miss Patina, she hit a niche in the seriously competitive fashion market and believes that success is knowing her audience inside-out. “I absolutely think you can balance creativity and business skills,” she says. “You have to! Passion for fashion drives me, but it’s important to know how your audience will react to product launches, and what will sell and where. As an international student from China, Holly loved her time here and seized every opportunity that came her way. This has translated to her business life where she donates profit to Great Ormond Street Children’s Hospital on a regular basis.